Throughout the ages, the Maltese language has undergone a series of internal changes as well as modifications and accretions caused by various external forces. As a result the Maltese language has been shaped by its inhabitants' interactions with all the peoples who, throughout the centuries, have landed on the islands to govern it or establish colonies there. The population of the Maltese islands has multiplied in the past one thousand years, rising to around 400,000, and such a rapid increase in such a small place could not fail to exert a strong influence on the linguistic scenario. The increase in population was due not only to natural growth but also to cumulative waves of settlers from abroad. Social interaction between the locals and the visitors was strong, bilingual communication took place in various domains at all social levels and relations were especially strong when mixed marriages took place. 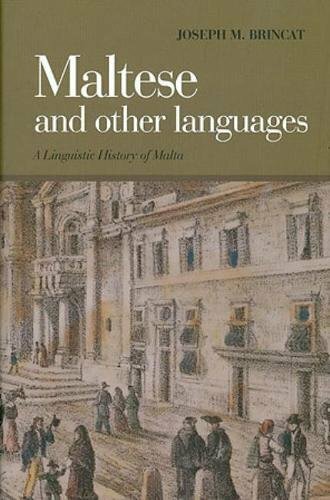 For this reason, a history of the Maltese language must be seen in the wider context of a linguistic history of the Maltese islands and will offer linguists belonging to both the historical and typological fields an intriguing case study of what can be considered a "minor" language from the international point of view (used only in a small state, but spoken by the great majority of the islanders) which has managed to survive alongside a series of "major" languages such as Arabic, Latin, Sicilian, Italian and English, languages which were widely spoken and written abroad and which also enjoyed prestige in Malta itself but whose local circulation was generally limited to the literate minority.